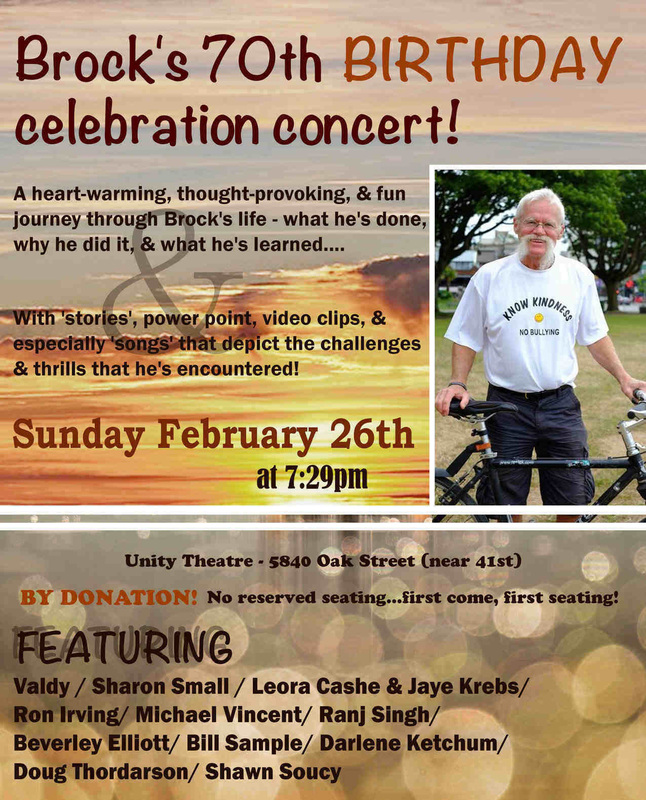 … i have AWESOME news….Ann Mortifee & Valdy are coming to join all the other amazing performers at my 70th Birthday Celebration Concert this Sunday at 7:29pm Feb. 26th(come early to get a good seat:-) at Unity Theatre – 5840 Oak Street – just south of 41st & Oak! Other amazing performers are Leora Cashe & Jaye Krebs; Bill Sample & Darlene Ketchum; Ranj Singh; Beverley Elliott; Ron Irving; Michael Vincent; Sharon Small; Doug Thordarson; and Shawn Soucy! …i’m very excited that so many of you are coming to my birthday concert celebration….please come early to get a good seat…all the info is on the poster below! Valdy is now coming & joining all the other amazing performers! ….i talked with them at the Oscars & they said they would show their highlights ‘after’ my concert so you won’t have to sit through the ads & boring speaches…or you can record it! …in other words, see you on Sunday night, Feb. 26th…concert at 7:29pm!